Winning t-shirt design by Matt Black. The results of our t-shirt contest are in! 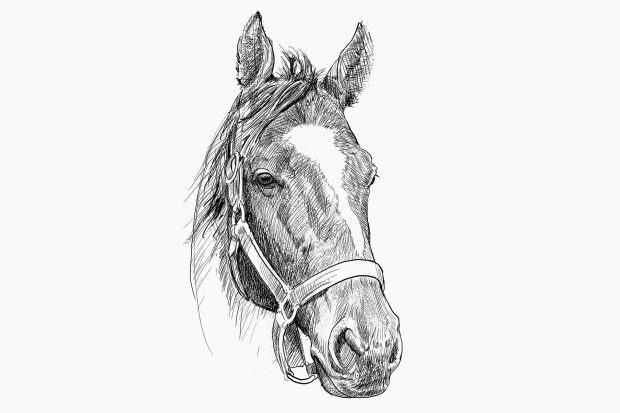 Matt Black of Ohio submitted the winning drawing that will be available on t-shirts at the Zenyatta Shop in December. 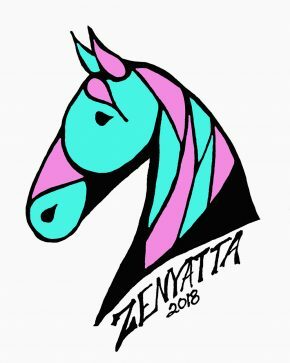 Our two runners up were quite popular as well, and we’ve decided to reward both Emily Gricco and Mitzy Caldwell with Zenyatta Shop gift certificates. A big thank you to all entrants! 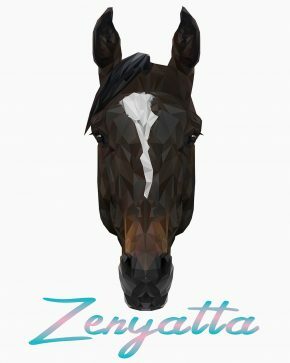 We are beyond thrilled with the participation in the recent Zenyatta Celebration and are sure that many of you eagerly await the results. At this time, drawing and auction winners have been contacted. The official results will be published as soon as all prizes are claimed. Happy Birthday today to one of our foundation Dumplings, Barbara Wood. 🎉🎉🎉🎉🎂❤️ Hope you’re having a great day there in the lone star state! Happy Birthday Barbara.Wishing you a wonderful day and year ahead.Love and hugs. Thanks for the birthday alert for Barbara Wood. Alas, I am late seeing this. His fee is 35,000.Have a happy life at Ashford. Happy Retirement, Mendelssohn! Hope you enjoy your new life and will be happy, healthy and loved. We’ll miss you, handsome boy. Congratulations to Winx! Beautiful girl, you won the hearts of the people — the Vox Populi award. Congrats all around! Hovis and mini-mother.No carrots Lily??? The dog who was a constant companion to President George Bush snr during his last months.He now stands guard beside the coffin. The embodiment of loyalty — dogs touch our hearts and never leave. Congrats to the Great Winx and her team! I first heard of her through you all posting here on the blog. Thanks! Yay, Souper Spectacular! Glad to see you doing well — good luck to you and Hannah. Wishing you a lovely happy and healthy life from now on. Sorry to hear that Robin des Champs has died. RIP and condolences to those who mourn him. Awesome! Good for Seven. He deserves a good life. Just watched the footage of Sully paying his respects to President Bush. He will be great at Walter Reed. Very touching to see Bob Dole. Even though it was very difficult, he stood and saluted. He is 95 years old. For those asking about Z17 a short video of her at Mayberry’s. Thank you so much for sharing this video of Beautiful Baby Girl. She’s small and spunky. Can’t wait to know her name. Late Happy Birthday to Barbara. Sheena, bless you for giving us the good news about Seven. He looks wonderful. So glad he is loved. Thanks for the video of little Z17. Great to hear about her and see how she is doing. Word of warning to all who watch the video. One of Z Princess comes up next and it will make you cry!